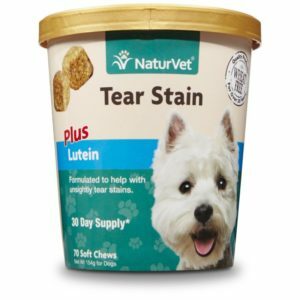 NaturVet® Tear Stain™ Soft Chew Plus Lutein has been marketed to reduce the look of tear stains on cats and dogs, but the manufacture states that you should use their topical tear stain remover to reduce the look of current tear stains. There is a chance this could get expensive as you may need to use both products to produce results. This manufacture does not list the price of their products on their website. 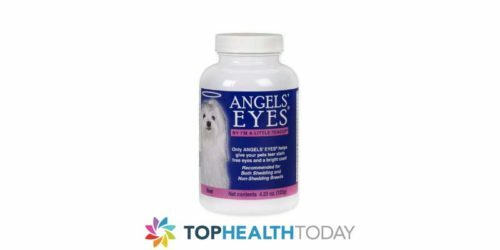 To make sure you get the most cost effective product we suggested that you get a tear stain product available for purchase that retails under $50. Products which are listed for less than $50 are more cost effective than products listed above $50. The NaturVet® Tear Stain™ Soft Chews Plus Lutein does not contain the potentially harmful antibiotic Tylosin. The manufacture of soft chews states that this product has been veterinarian formulated. 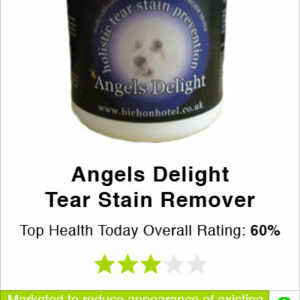 It appears that this tear stain formula helps lubricate mucous membranes and supports the immune system. When it comes to using tear stain products, they can differ in consistency and usage. The daily dosage for your pet using NaturVet Tear stain soft chews will depend on their weight. Be sure to use these tear stain soft chews as directed to achieve best results. Results may vary for each pet. This tear stain formula may offer visible improvement in just weeks. When looking at NaturVet Soft chews for tar stains, we noticed that it comes in a 70 count cup, which is a 30 day supply. There are several tear stain formulas on the market that come in a one month supply. To see some other options, refer to the tear stain review grid below. Inactive Ingredients: Brewer’s Dried Yeast, Canola Oil, Citric Acid, Dried Potato Product, Flaxseed, Glycerin, Lecithin, Maltodextrin, Mixed Tocopherols, Natural Flavoring, Rosemary Extract, Sorbic Acid, Tapioca Starch, Vegetable Oil, and Water. When taking a look at the manufacturers website, there is an American Flag seal located at the bottom of the website. However, there is no information specifying that the NaturVet products are made in the USA. You can find other formulas for tear stains that directly market themselves as products made in the United States. At this time the NaturVet® Tear Stain soft chew formula states that you should use the NaturVet Tear Stain Remover topical formula in order to remove existing tear stains. This makes us think that the soft chew formula is only intended to reduce the appearance of existing eye stains. You can find alternative products that address both new and old tear stains. 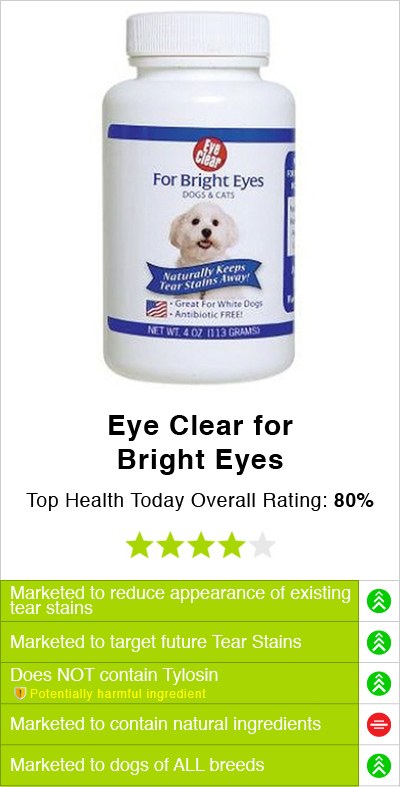 NaturVet Tear Stain soft chew formula does not provide a MSRP on its website. 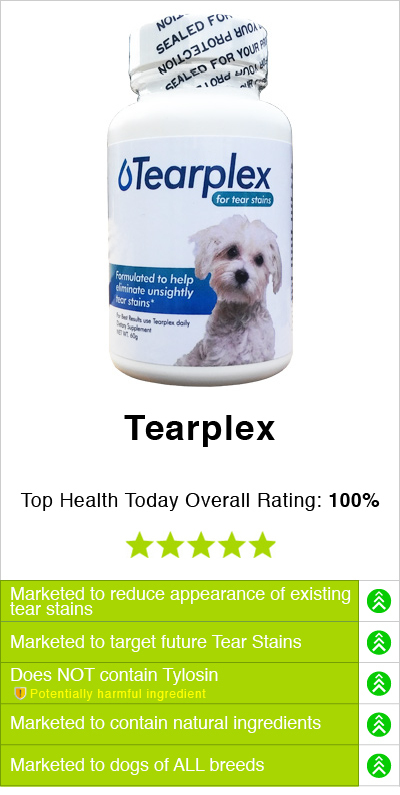 You can elect effective and affordable tear stain supplements for less than $50. Some manufacturers offer purchase special offers to help you save more money. 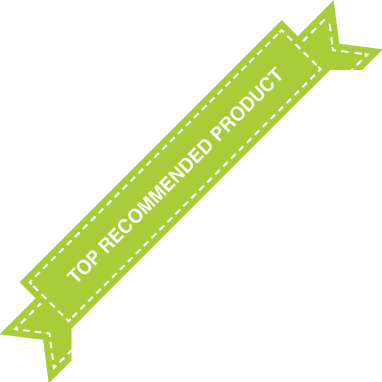 See some of these products on our review grid below. According to the manufacture, NaturVet® Tear Stain soft chew formula is intended for dogs and cats. 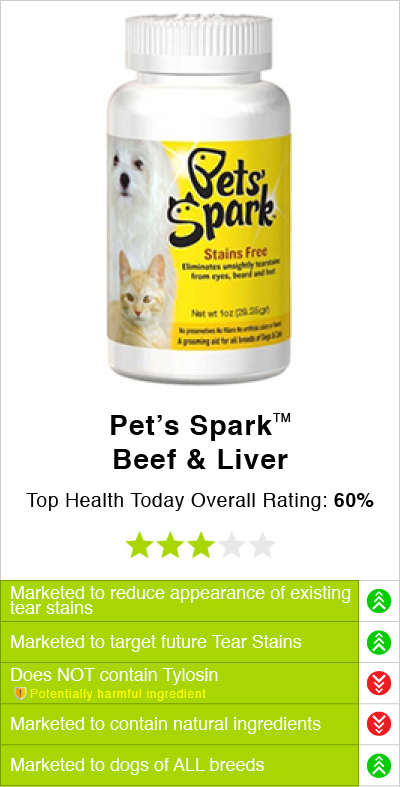 However, there is no information indicating that this formula is safe for all cat and dog breeds. 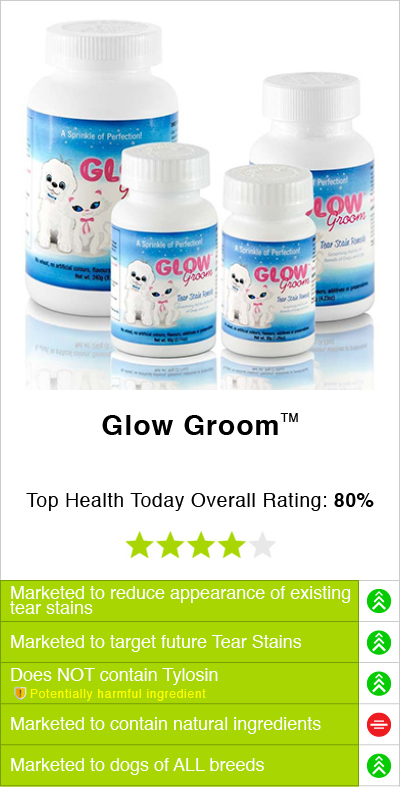 You can find some formulas on the market that claim they are suitable for all breeds. 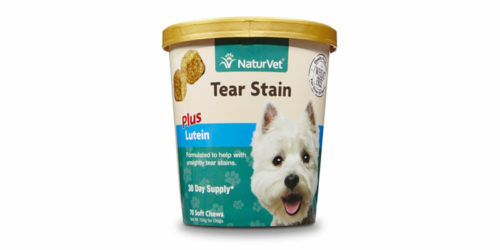 NaturVet® Tear Stain™ is a Soft Chew Product that is marketed to help the immune system. It is suggested by the manufacture that you should purchase their other tear stain products for optimal results to reduce the look of current tear stains, and to use the soft chew to help with future tear staining. NaturVet® Tear Stain™ Soft chews Plus Lutein do not offer any special deals or suggested prices within their products website. To compare NaturVet® Tear Stain™ soft chews to other options that retail for less than $50 online check out the grid below.